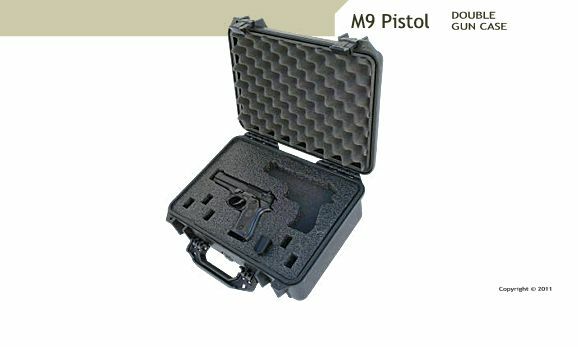 M9 Single Pack Carrying Case holds one (1) M9 handgun with storage space for 3 magazines. 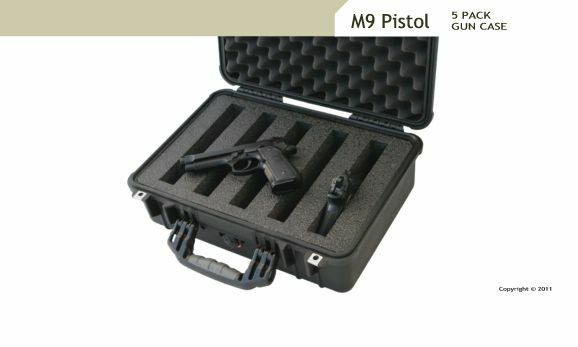 Double Gun Case holds two (2) M9 pistols with storage for 6 magazines. 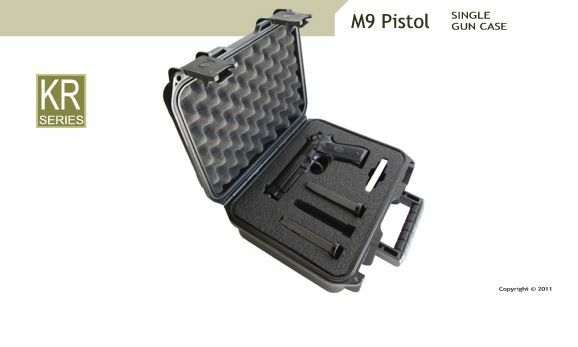 Five (5) pack gun case holds M9 pistols (without storage for magazines). 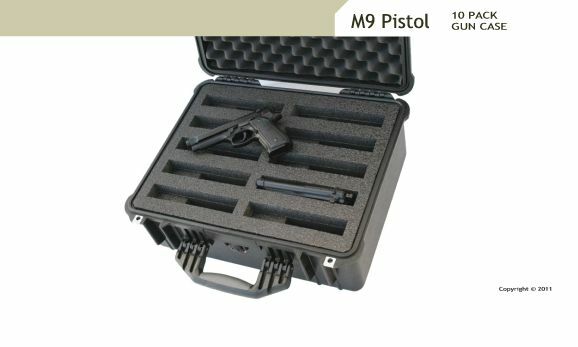 Holds ten (10) Beretta M9 hanguns (no storage for magazine clips). Complete gasket seal and automatic ambient pressure equalization valve make these cases absolutely dustproof and waterproof; they are impervious to UV, solvents, corrosion and impact damage resistant (MIL-STD-810F)..